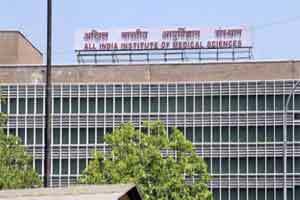 New Delhi: The faculty association of All India Institute of Medical Sciences has opposed the governments decision to sell 10 per cent of the land alloted to the institution for commercial. AIIMS and National Building Construction Corporation (NBCC) are likely to sign a memorandum of understanding (MoU) on January 17 for construction of 3,000 flats and houses for the staff and resident doctors of the country’s premier institute on over 65 acres of land, at an estimated cost of Rs 5,828 crore. As per the MoU, about 2.9 acres out 29 acres of institutional land would be given for construction to NBCC. NBCC would be charging 10 per cent of the final project cost as project management consultancy (PMC) fee and 1 per cent for the marketing expenses on total fund realisation from the sale/lease of built up area, NBCC had said in a regulatory filing. During the Faculty Association of AIIMS (FAIIMS) governing body meeting yesterday, several faculty members pointed out that cost of the 10 per cent land was more than the total cost of the project itself. “Members of FAIIMS strongly oppose the governments policy of selling 10 per cent institutional land for commercial use and expressed their emotion that as per AIIMS Act the accommodation for the faculty is a part of the institute,” according to the minutes of the meeting. FAIIMS has decided to appeal to the Prime Minister on the issue. They also raised the issue of AIIMS employees not getting their salaries as per the 7th pay commission recommendation, except for one senior functionary of the institute. “Several faculty members shockingly expressed that all the faculty members who have been promoted under the APS scheme (from July 2016) are still not getting even revised pay scales as the 6th pay Commission due to lack of administrative approval,” the minutes read. The members have decided to write to the Director in this regard so that the faculty members get their due at the earliest as per rules.